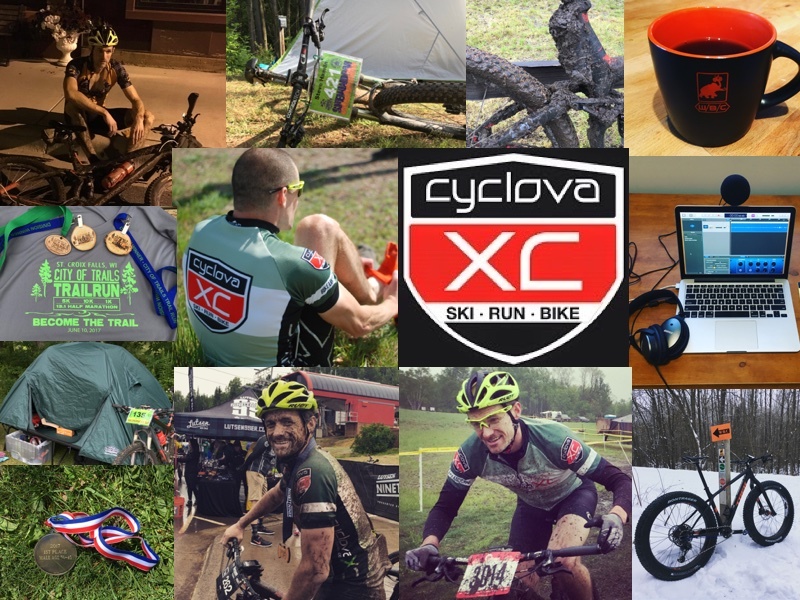 Separate from Endurance Path, but I personally took on part ownership of Cyclova Bike, Ski and Run shop in St. Croix Falls, WI. I’m very excited about this opportunity! The shop has a great foundation and amazing community around it that I hope to build on. I am typically available at the shop on Wednesday, Thursday, most Saturdays and various other times throughout the week. The full store hours are in the shop’s blog below, but stay tuned for updated shop hours coming very soon, an announcement of a new Grand Reopening Event this spring and an all new website for the shop and team. We have a lot of new stuff in the works. Additionally, we have a bunch of winter stuff that we are closing out, so we can replace it with all the latest gear for the upcoming spring and summer season. I launced my own podcast and started having some guests on the show. I’ve taken a little bit of time off from it around the first of the year as I’m buried in the transition of ownership of the bike shop, but I am still lining up new guests in the background. Stay tuned and check out some of the old stuff in the mean time. Get subscribed to the podcast here and don’t forget to give me a rating or send me some feedback! I mixed it up this year with my racing and did a trail run and an adventure tri. Anyways, my season included fatbike racing, road racing, adventure tri, trail running, XC racing and endurance racing. I thoroughly enjoyed mixing it up. I had more fun mixing it up, even though I couldn’t focus in on one specific thing and that’s probalby the way I’ll roll going forward. My ride time was down a little from the previous year, but I would say I had more quality in my riding than in 2017. I also feel pretty good about my results for the amount of riding that I actually put in. I had a few weeks in there that topped 10 hrs/wk, but most months I was averaging 6 to 6.5 hrs/wk. I of course had some downtime, which drops the overall average ride time to 5.6 hrs/wk. The data is a bit deceiving, as I had many weeks in a row that I did not run at all. Regardless, my run time is low for somebody wanting to get more into it. I’ll be doing some more running this year to prepare for the trail marathon portion of the Wilderman Offroad Tri in July. I felt really good this year overall when it came to my core and upperbody vs the previous year. I put a lot more focus on my back, which really made a big difference in my opinion when it came to comfort on the bike. I’ve put on a little upper body muscle and strength, which isn’t neccessarily the right thing to do for the running and biking I want to do, but I’m more interested in becoming well rounded in the long run. I passed the tests for a Fitness Nutrition Specialist program I had started. I think there is way more to learn there and I do not plan on providing any specific nutrition services myself. I think it is some good knowledge for me to have and complements my personal training services. Thanks for following along. This year was big for what I have been working on and hope that it is only the beginning.